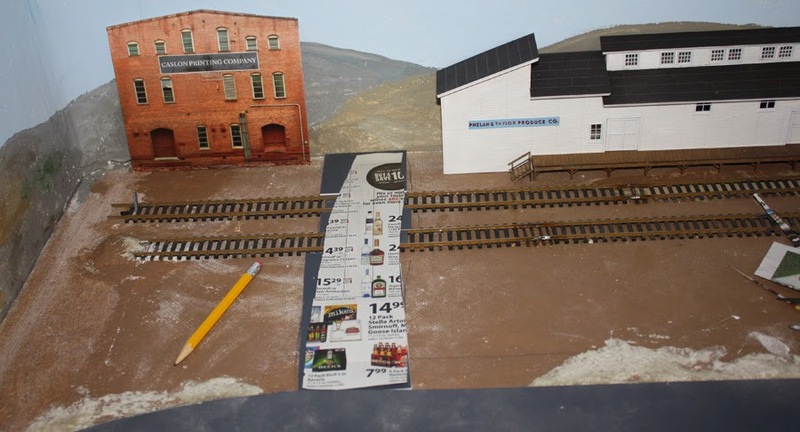 Around three years ago, I posted a discussion about route cards, and about the “routing card boards” on which they were supposed to be fastened, on freight cars (those comments began with the post at the following link: http://modelingthesp.blogspot.com/2011/11/chalk-marks-and-route-cards.html ). A second post showed examples of prototype route cards themselves (at: http://modelingthesp.blogspot.com/2011/11/route-cards-2.html ), and so did the eighth post in the series (you can read it at: http://modelingthesp.blogspot.com/2013/12/route-cards-8.html ). Post 2 was followed by several descriptions of how I have modeled these cards. Finally, I showed the prototype AAR rules for these boards, and a prototype drawing of the recommended size and shape (see this latter post on the prototype at: http://modelingthesp.blogspot.com/2012/01/route-cards-7.html ). One thing often noted in photos of older wood-sheathed cars, is that car clerks obviously placed route cards or switching cards wherever it seemed convenient to them. Usually low on the car, so other switchmen on the ground could read them, and often placed near the left bolster, or just left of the car door. In the ’teens and 1920s, many car owners painted a black rectangle in one of these areas, and added a legend such as “tack cards here,” though clerks evidently took such notations as a challenge to their independence, and tended to place the cards anywhere but on the black rectangle. Newer tank cars might have an actual routing card board on the side sill near one of the bolsters. For flat cars there might be a routing card board attached somewhere, especially on newer steel cars, but older cars had no such board, and clerks had to tack to the edge of the wooden deck. This Depression-era image shows a card tacked to the wooden blocking under the deck edge, in a Library of Congress photo taken at Sacramento. Note that the switching card is oblong and appears pre-printed, so that a clerk could simply circle or check off the appropriate destination symbol or code. This is an SP Class F-50-5 “Harriman” flat car with overhanging deck, and typical Vulcan trucks of that period. These locations for route cards are readily modeled. I cut small squares or rectangles of paper (no need to write on them) and attach with canopy glue. These are indeed very small details, but their light colors make them really stand out on the side of a freight car (equally true in model form, as it is in prototype photos). And they do add an additional touch of detail that you can enjoy. In an earlier post (at: http://modelingthesp.blogspot.com/2013/02/layout-fascia-my-approach.html ) I described the kind of layout fascia I choose to use, and a little about why. My fascia is all tempered Masonite, attached with screws to the layout structure, and finished with shellac to retain the natural color and look of the Masonite. Shellac is a pretty old-fashioned finish, but for me it has just the right satin gloss finish, does seal the surface, and also seems to resist scratching well. A closer-up view (below) shows the area at the far right of the photo above, with the Union Oil bulk dealer just above the aluminum piece. 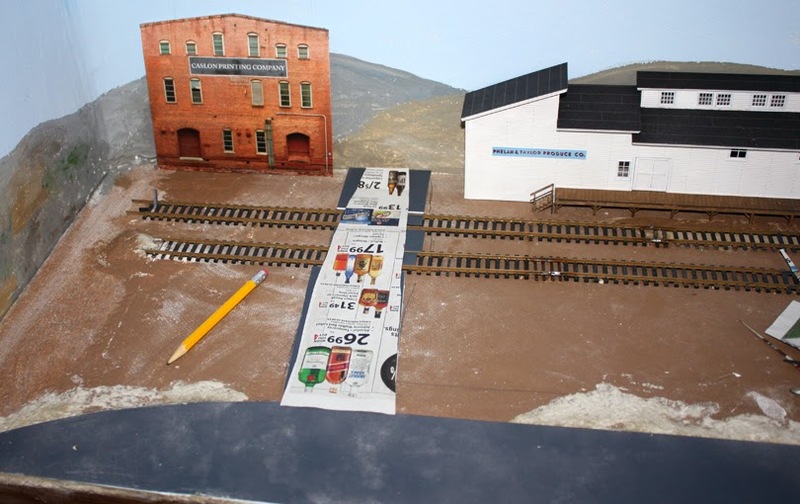 Just to the right of the aluminum is the emerging bed of Oso Flaco Creek; for more on that, see this link: http://modelingthesp.blogspot.com/2015/01/modeling-oso-flaco-creek.html . The creek project is ongoing. The aluminum strip you can see here is actually one leg of an angle, which attaches an extension piece of plywood to my Ballard track board. I described this earlier, at: http://modelingthesp.blogspot.com/2011/09/ballard-1.html , in explaining how the Ballard track board was built. If I were applying the fascia as it was done everywhere else on the layout, I would simply put screws through the Masonite into the edge of the plywood track board, but obviously in the area of the aluminum, it won’t be quite that simple. My decision was to simply drill clearance holes in the aluminum, permitting the usual flat-head wood screws to pass through the aluminum and into the plywood. New fascia strips were cut from some of the saved, shellacked Masonite. Some already had countersunk screw holes in them, so I took advantage of that. Here is the installed pair of new fascia strips. The area where the creek reaches the fascia was cut down to match the scenic contour, as I have done elsewhere on the layout. You can see this below. The ground throw at photo center is an interesting story (it throws a switch some ways back into Ballard), and I will describe it in a future post. After the fascia pieces are set, I paint the screw heads and any scrapes with acrylic paint, mixed from the tube to match the particular Masonite sheet. Usually what I use is Raw Umber, a medium brown, mixed with varying amounts of Raw Sienna, a yellow/ochre color. Different proportions of the two can nicely match most of the natural range of Masonite colors. 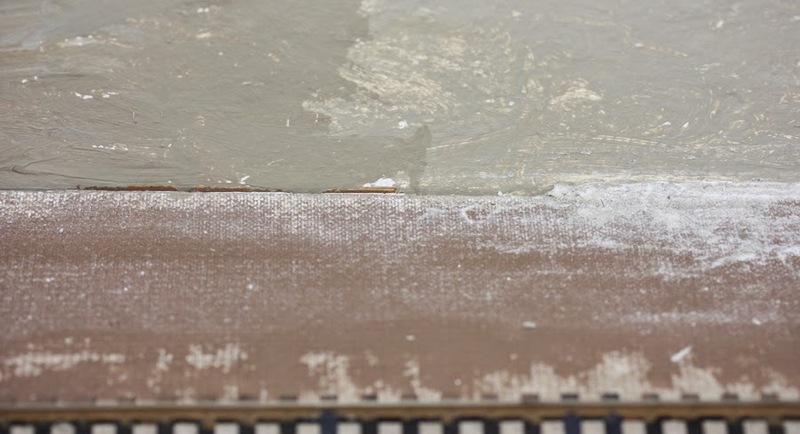 There was a bit of a gap between these Masonite strips and the existing layout edge. My usual procedure was followed, which is to fill the gap with Sculptamold and when dry, gently sand the surface to level it. The next step is to paint this filler “dirt brown” (I continue to like the Rust-Oleum acrylic color “Nutmeg” for this). The creek banks are also painted, as you see at right in the photo below. 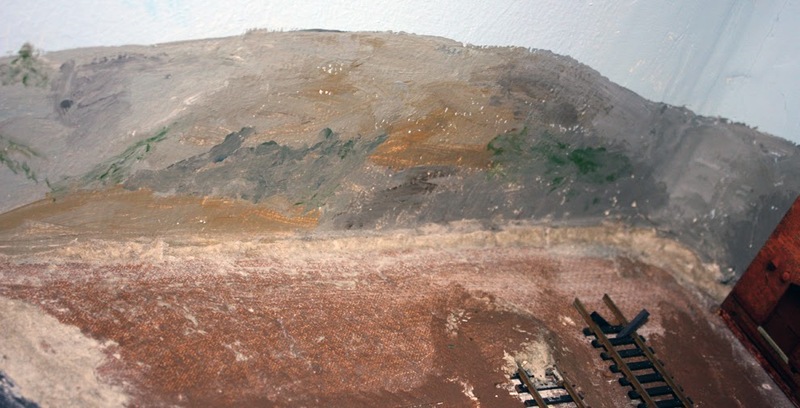 This paint provides a good undercoat for surface textures of dirt, grass, and small vegetation. That will allow the fully-scenicked layout surface to come out to the edge of the fascia itself. It’s a straightforward process that needn’t be shown here, but completion of this area of the layout will be treated in a future post. Part 1 of this series described the rider coach which normally ended the “Coast Mail,” SP’s trains 71 and 72 in my modeling year of 1953 (you can read it at: http://modelingthesp.blogspot.com/2014/08/modeling-sps-coast-mail-rider-coach.html ). There, I described preparing a Ken Kidder brass car body to model this coach. In the present post, I will describe how I made underbody details for the Kidder cars, and show the completed rider coach. This is relevant to anyone completing a Kidder brass passenger car body or a head-end car, because these cars were sold with a smooth, featureless wood floor. (I discussed the various 1960s Kidder bodies in my previous post, the link to which is provided above.) All these cars need at least the addition of underbody brake gear (I like the Cal-Scale “UC” set AB-300, but there are other makers of such parts too) and a battery box (I use Century Foundry). Many older SP passenger cars in later years also had generators to provide car electricity. All this can be added. The first step in planning underbody additions is to appreciate the locations of SP underbody equipment, as were shown in my second post about the Coast Mail, at: http://modelingthesp.blogspot.com/2012/10/modeling-sp-passenger-cars-head-end-cars.html ). The battery box was centered on the right side, and the brake cylinder, when visible, was on the left, along with at least one air tank. Generators were on the left side, toward the B end of the car. I should emphasize that the above description of equipment locations is typical, but exceptions certainly existed. By all means consult photos, for example in the excellent SPH&TS volume on Coaches and Chair Cars, in the series Southern Pacific Passenger Cars, Volume 1 (Pasadena, 2003), particularly if you are modeling a particular car number. For head-end cars, you want to consult Volume 3 in the series. Although detailed prototype photos of Harriman-era underbody arrangements are rare, drawings do exist, and were the basis for the Southern Car & Foundry resin kits for Harriman baggage cars. Here is a SC&F 60-foot baggage car underframe. The two sets of diamond-patterned diagonal braces, though distinctive and very prominent from below, are all but invisible from the side of the car, so I omit them from most models. The underframe shown above also includes a fairly complete piping arrangement, though again, on most of my Kidder cars, I would omit the bulk of this. I showed one Kidder brass baggage car for which I have made an underbody, SP 6114, in my second post in this series (the link is provided in the third paragraph of the present post); and here is a left side view to show what is visible on this model. The valve is at right, while the brake cylinder is hidden behind the tanks. Incidentally, the color of this car is a deliberate effort to get a faded look, since many color photos of SP cars in Dark Olive Green in sunlight appear much lighter than the pure color. I mixed 2 parts Floquil Pullman Green and 1 part Coach Green for this car. In hindsight, the color is not olive enough, but this color does give some variation in passenger consists. I prepared an underframe arrangement much like that of baggage car SP 6114, above, for my rider coach, following photos from Volume 1 (Coaches and Chair Cars) of the SPH&TS series Southern Pacific Passenger Cars, cited above. Here is an angled view from the right side, with just the underbody equipment added. The box on the far side has a detailed outer face. Styrene truck bolsters have yet to be installed, as have representations of the brake rodding, and a minimal center sill. Note here that the car has been painted Dark Olive Green, not the faded color shown above in the photo of SP 6114. I used Tru-Color No. 135. I glued together rectangles of 1/16-inch styrene sheet to make 1/8-inch truck bolsters. The vital dimension here is the distance between the rail head and the bottom of the car floor, where the coupler box will be located. I have illustrated using the Kadee height gauge to ensure the correctness of this distance in a previous post on truck installation; you can see that post at: http://modelingthesp.blogspot.com/2012/03/replacing-snap-in-trucks.html . With a shallow center sill and some brake rodding mocked up, and the entirety painted dark gray (battery box faces are Dark Olive Green), here is the underbody at this point. The view is from the same side as in the photo above. You can click on the image to enlarge it. Truck screws are in place in the bolsters so the heads would get painted. In the first post in this series (link at the top of this post), I mentioned Robert Bowdidge’s similar Kidder car underbody modeling. If interested, see: http://www.vasonabranch.com/railroad/vasonapasscars.html . The trucks here have the correct eight-foot wheelbase, and are the currently available Athearn trucks, their part number 90393. For years, several of my Kidder cars have operated with Kadee #36 couplers, a compact but effective design which seems to work well on these cars. But what you see above on SP 1240 are entirely conventional #5 couplers. (Both the #5 and #36 heads have the large gathering range which is useful on longer cars.) I drilled and tapped the body 2-56 to attach the coupler boxes. The rider coach was a standard part of the consist of the “Coast Mail” in the transition era, always quite evident because of its location at the end of the train, so I am happy to add this model to my train. I discussed awhile back the problems one can have in making a graceful connection between the layout surface and its backdrop. My main concern then was the backdrop which runs down the center of my peninsula (you can read that post at: http://modelingthesp.blogspot.com/2013/12/joining-layout-and-backdrop.html ). Now I want to address the problem that can arise where the layout meets a wall. Often it is possible to place vegetation, a fence, building flats, or other obscuring elements to hide that transition from horizontal to vertical, and the viewer’s eye does not see it. But if that isn’t possible, other measures have to be taken. I begin by showing the kind of problem I mean. Here is the wall at the end of my East Shumala extension, with some background hills painted on the wall. The Homasote surface almost meets the wall, but a narrow gap remains. One starting point which helps with everything that follows is to make a small paper mache fillet along the base of the wall, so that the horizontal no longer meets the vertical at 90 degrees, but has a transition in the form of a small curvature. Although it isn’t completely obvious in the following photo that this has been done, note that there is no longer any gap at the interface. The new fillet is light gray in color. Here I simply used my favorite Brandt’s Paper Mache mixture. I haven’t tried to measure the radius of this small fillet, but I know how big it is, because I drag the ball of my little finger parallel to the joint, to shape and smooth the paper mache. The fillet radius is the radius of my finger. I can also illustrate this point in the area which will be behind the packing house at East Shumala. No need to fillet the hidden area, but outside the building, I do want to hide the joint with the wall. Here is the transition, from the unmodified area at left, to the fillet at right. Note that the unmodified area which will be behind the packing house is readily identified here (just right of center in the photo), because it has no fillet. This is just a first step in the painting of the fillet area, and more low vegetation needs to be suggested in the fillet area, along with distant buildings, trees, etc. I will address those steps in a separate post. The subject often arises as to routing of all kinds of freight cargoes, and particularly perishables. The questions sometimes reveal that some modelers have only the most hazy view of how this all worked. The basic fact is that the shipper had the absolute right to choose routing of cargoes. This was established back in 1906 in a court case that went all the way to the U.S. Supreme Court, and rights of shippers in this regard were fully upheld. I discussed this general point in a prior post about preparation of model waybills: http://modelingthesp.blogspot.com/2012/05/waybills-24-routing.html . By the way, a collection of my first 27 posts on waybills is also available, thanks to the work of Mike White to collect them into a single document. That document, in the form of a PDF can be downloaded; it’s available via this link: http://modelingthesp.blogspot.com/2013/02/waybills-27-collected-posts.html . 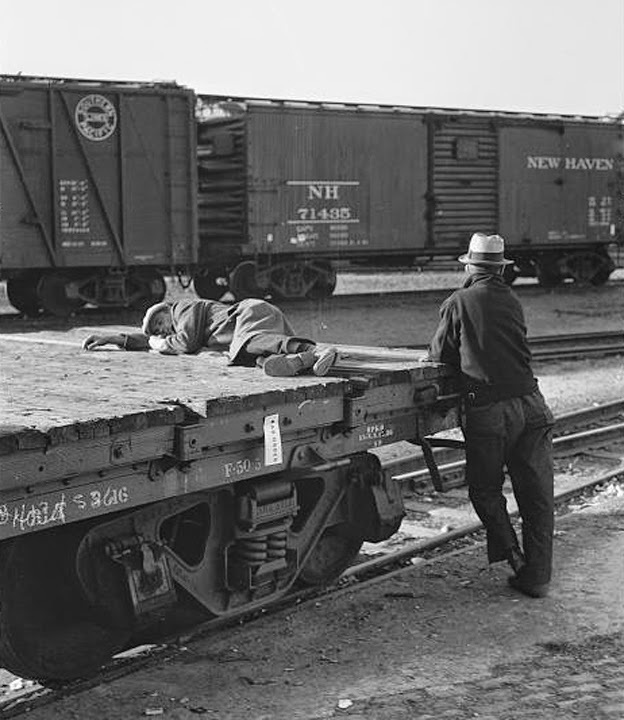 Any shipper might choose to seek advice from the local railroad agent, who of course would advocate moving the shipment as far as possible on the rails belonging to his employer. But the final choice did remain with the shipper. And any shipper who moved much traffic by rail had someone on the payroll, whether full-time or as part of other duties, who functioned as a traffic specialist and chose routings. Experience with good or poor service from some particular combination of railroads in moving a cargo would obviously be kept in mind, next time a routing was chosen. There isn’t space here to explore the subject of diversions, but in brief, shippers were allowed to change the final destination of a shipment, while en route, without charge (PFE allowed up to three free diversions). Thus a California shipment might be waybilled to “PFE agent, Kansas City,” with the expectation that the destination farther east (with the best prices) would be chosen while the car was moving toward Kansas City. By the time the car arrived, that PFE agent would issue a new waybill, for example to a wholesale market in Cleveland. It is worth mentioning that routes specified on waybills had to be “approved routes,” for which there was a tariff in place. Entire books of these approved routes, regularly updated, one for each region, might occupy a foot or two of an agent’s or traffic specialist’s bookshelf. East of the Mississippi, there were so many railroads, intersecting so closely, that almost any geographically reasonable route would likely turn out to be an approved route. But in the western part of the United States, this was not always true, and one would pull out the relevant book and see if one’s planned route was in fact an approved one. This is not to say that railroad agents did not have a voice. They were free to tell a shipper their opinion, and as the local representative of the railroad the shipper used, would certainly be listened to. But if a shipper had had a bad experience with a shipment routed via the XYZ Railroad, you can bet that future cargoes would travel elsewhere. This could even extend to the local railroad. There were certainly instances, as railroaders can tell you, of a shipper whose siding was served by the ABC Railroad, but bad feelings had developed with that railroad, and accordingly routings were chosen so that cars left the ABC at the very earliest opportunity. 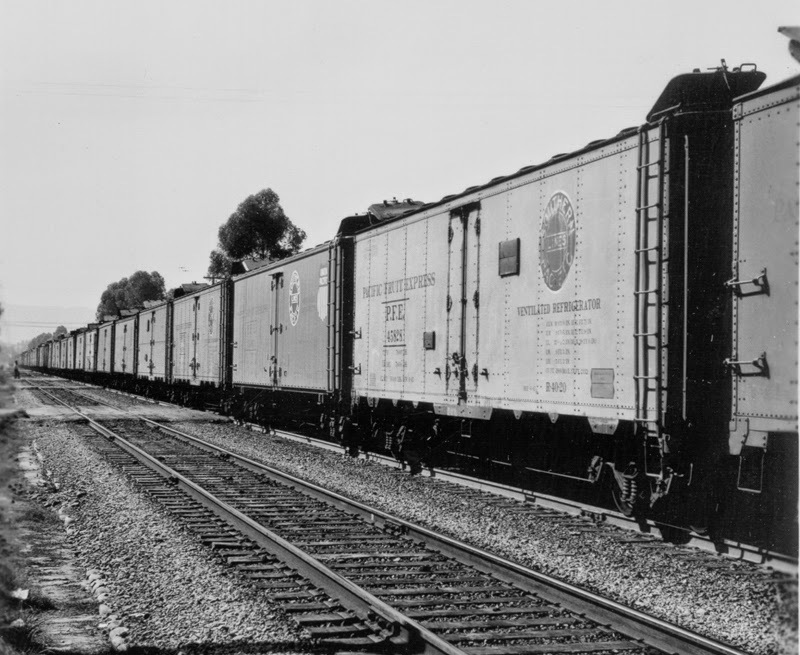 In perishable territory, the refrigerator car companies, such as PFE or FGE or SFRD, would have their own local agents, separate from railroad agents, whose job it was to help shippers get their product to market. Here too, of course, the shipper had the final choice. As mentioned, in the far west, there were not too many options, but east of Chicago, more choices were available, and more variation in quality of cargo handling existed. In the interviews I did for the PFE book (Pacific Fruit Express, 2nd edition, Thompson, Church and Jones, Signature Press, 2000), several PFE people told me that they strenuously advised shippers to not use the Pennsylvania Railroad any more than absolutely necessary, because PRR had such high rates of perishable damage claims (actually, the highest of any American railroad, per ton-mile). Their total tonnage moved was one of the highest, or the highest, of any American railroad for many years, but the ton-mile measure allows comparison of railroads with each other, regardless of total tonnages. 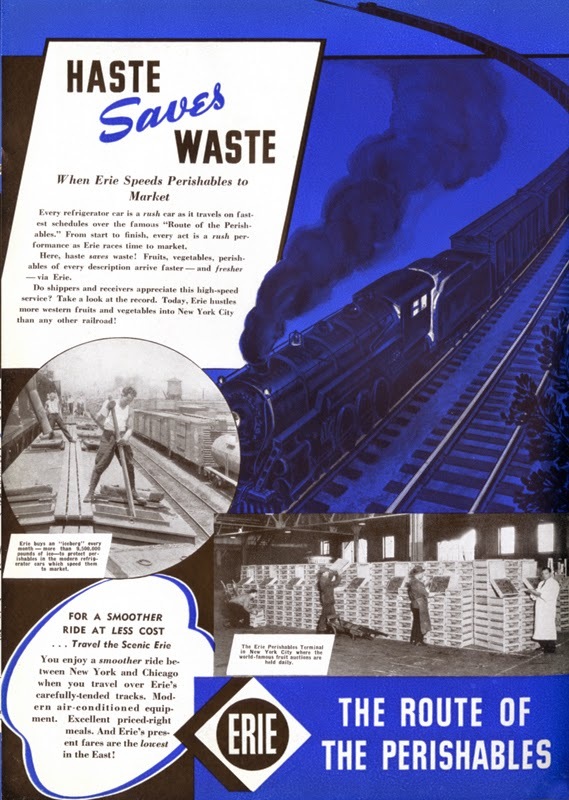 And incidentally, the New York Central did not have much better of a reputation for perishable handling than the PRR. So what railroad did the PFE people recommend? First and foremost was the Erie, which had developed fast train schedules and good connections out of Chicago, and more important, actually operated according to those schedules. Making an attractive schedule was easy; delivering it was not necessarily easy at all. And in fact, the Erie advertised itself this way. This image is from the “Freight Progress” issue, page 178, of Railway Age for May 25, 1940. Where the routing was applicable, PFE people also recommended the Nickel Plate. Other eastward roads from Chicago preferable to the PRR or NYC were the Grand Trunk and, to a lesser extent, the Wabash and B&O. In choosing routing to place on model waybills, these historical connections are useful to remember. Even though most layouts have insufficient geographical extent for waybill routings to come into play, they are still part of the story. In my first post on railroad model photography, I commented in general about what is needed for such photos (you can read that post it at this link: http://modelingthesp.blogspot.com/2015/02/photographing-railroad-models.html ), including the basic three principles, which are these: minimum lens aperture, solid (usually tripod) support for the camera, and good lighting. These basics would apply whether you are photographing a flower, a grasshopper, or an HO scale freight car. There are two Kalmbach books having to do with model railroad photography, which I have found informative. Both are out of print, though readily available on the Internet in used condition from ABE Books, Amazon, Powell’s Books, and others. This is another place where Google is your friend. Just use the book title or authors to search, and you will find a bunch of sources, most at pretty attractive prices. The first of these is really a superb book, despite having only a single chapter about model railroad photography. The entire book is packed with ideas and clear illustrations of what to do and what not to do. 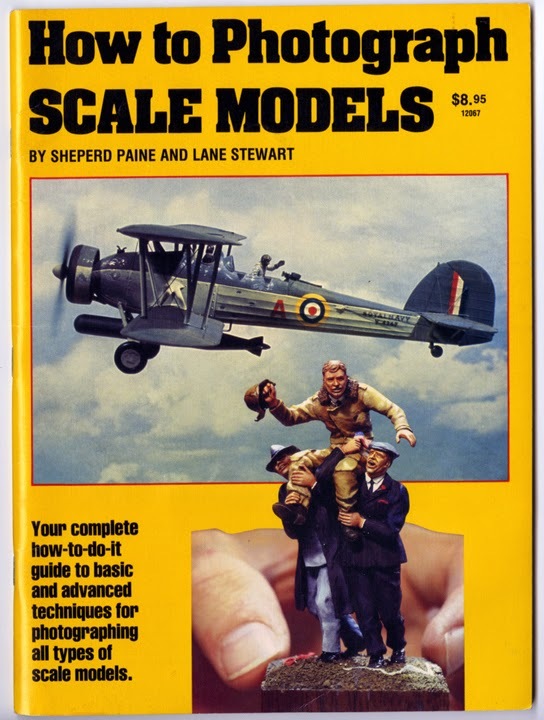 It was first published in 1984 and is by Sheperd Paine and Lane Stewart, entitled How to Photograph Scale Models. 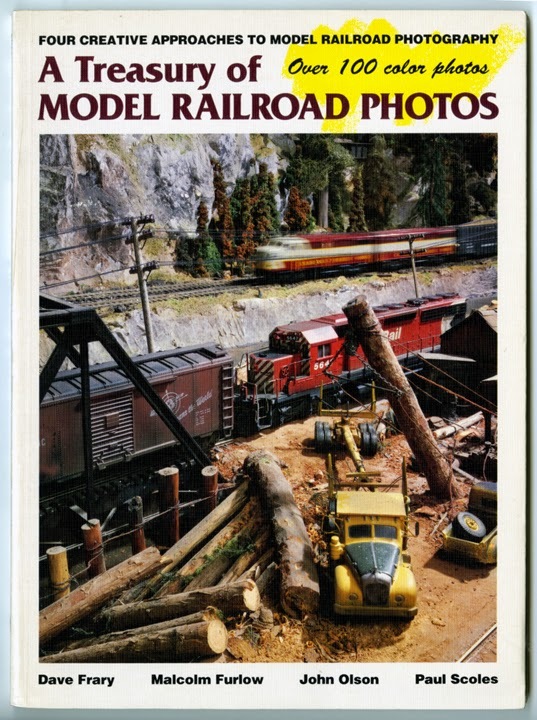 The second book is entirely about model railroad photography, published in 1991. Though it is mostly about pretty advanced methods and equipment, the descriptions about the choice of the shot you want, and how to compose it, are very valuable. The four authors, big names all, each discuss their own philosophy and approach, quite interesting to read, and they provide numerous illustrations of how the photographs were composed, lit and photographed. Both the books shown above are totally about film photography, but the great majority of their advice about composition of photos, lighting, and so on, is entirely appropriate and useful for digital photography. A third book, long out of print, that has taught me a lot about this kind of photography is another title by Sheperd Paine, How to Build Dioramas, issued in two slightly different editions by FineScale Modeler (Kalmbach Books), and often though not always available used on the Internet. This piece is actually from the May 2006 issue of FineScale Modeler magazine, and offers considerable sensible advice for anyone just starting in digital photography. The equipment I use most often for model photography is not very sophisticated. My digital SLR camera is a Canon XSi model, now discontinued (this is usually classified as an “entry level” SLR), and many times I pair it with a tripod that is truly ancient, a Star D from Davidson (it must be over 30 years old). Shown below are the two together. The lens you see here is the 18–55-mm zoom I use for most model photographs. I also have a 60-mm macro lens, but it only comes into play for really close-up photos, or when I need greater depth of field; it’s capable of f /32 minimum aperture. 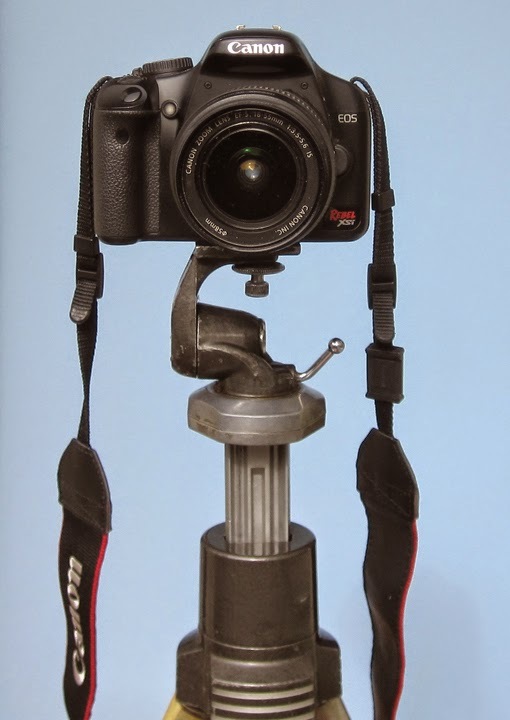 There are a lot of miles on this old tripod; I used it for a lot of film photography with my former Canon SLR camera, a classic AE-1, with a cable release for the shutter. (Today I occasionally use the electronic equivalent of the cable release, what Canon calls a “remote switch,” whenever exposures get a little long.) But the joints in this tripod’s extension legs are getting worn, and I have a newer alternative, which I’ll show in future posts. This summarizes background for the model photography side of photographic technique. Next I will present some examples. So here is the key point: the Southern Pacific main line is simply a loop. On one side of the peninsula, it passes the town of Shumala, which is also the junction with the Santa Rosalia Branch. On the other side, it passes through the staging table, and is underneath the town of Ballard. To show it as simply as possible, here is a sketch of just the SP main. The two points at which the track disappears from view on the Shumala side of the layout are indicated by “tunnel portal” symbols, though only one of them is actually a tunnel. The track then continues through Ballard to the end of the branch at Santa Rosalia. Ballard is of course immediately above the staging table shown in the sketch at the top of this post. See, for example, my post from a few years ago, about my son and I putting the Ballard track board in place above the staging: http://modelingthesp.blogspot.com/2011/09/ballard-2.html . The branch, then, is point-to-point, and has no turning facilities along it. At Shumala, however, there is a turntable with the roundhouse. The SP main line likewise has no turning capability, and trains must be staged in the desired orientation to run. 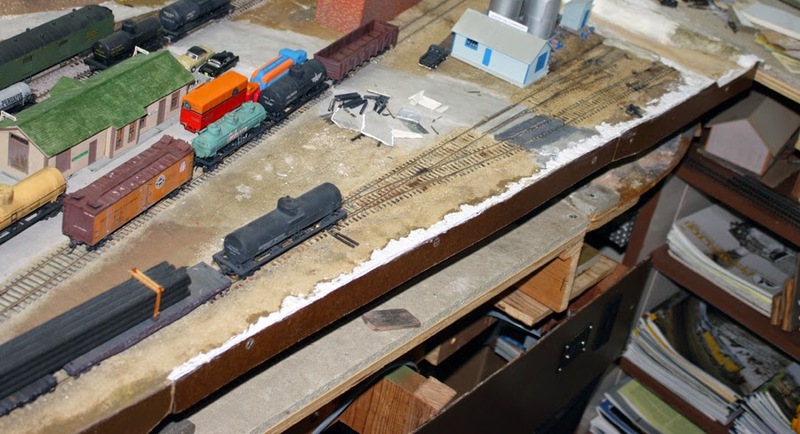 This was anticipated in the layout planning, and re-railers were added to every staging track to facilitate rearrangement of trains, albeit by the good old 0-5-0 method. Hopefully this clarifies the layout track arrangement, really quite a simple setup, until such time as I actually draw a track plan. Last year a neighbor came over and wanted to see the layout. I was happy to show it, and while he was here, he used his iPhone to take about seven minutes of video, intending to show it to his dad, who is interested in model railroading. In the process, he was asking about things like DCC and sound in locomotives, so in a sense much of the conversation was about explaining fairly basic things, from the perspective of experienced model railroaders. Toward the end, you’ll hear my wife Mary joining the conversation. At that point, we were standing near the Shumala depot, which you see in this view. Understandably, the video is erratic in spots, just being a “walk around,” and the conversation was entirely unscripted and undirected. 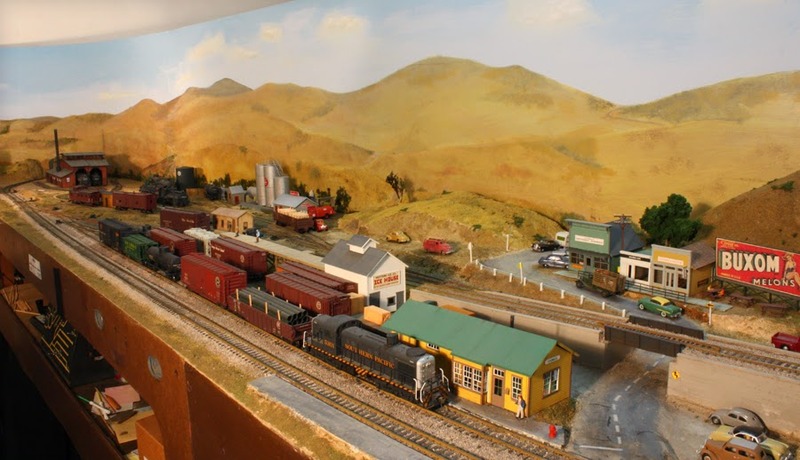 But my visitor did take a turn around the layout as it was in March of 2014, and you do get views of the entire layout in different parts of the video. I’m not exactly apologizing for the video, only trying to emphasize that it is only a limited representation of how I want the layout to be viewed. But it’s here, and in the absence of better video, it will do for now. Awhile back, I posted (see: http://modelingthesp.blogspot.com/2014/02/my-layout-description.html ) a fuller layout description. That may be of interest to some viewers of the video. I would like to shoot and edit something more indicative of how the layout is operated, and have already experimented a little, but in the meantime this video provides a bit of a look at the layout as it was at that time. I hope you enjoy it. In my initial post about this subject, I mentioned the locale and significance of Pismo Dunes Road for my layout extension at East Shumala (that post is at: http://modelingthesp.blogspot.com/2014/12/pismo-dunes-road-east-shumala.html ), and I followed that up by showing the installation of the styrene road (at: http://modelingthesp.blogspot.com/2015/01/pismo-dunes-road-part-2.html ). The problem presented at the end of that second post was the orientation of the intersecting Alder Street, which in simplest form headed straight into the backdrop. I wanted to do something about that, to minimize the problem of disguising where the road goes. This post is about trying out several ideas to do that. The street heads off between two buildings, but both are flats, so a direct line into the backdrop offers few means of disguise. But if the road is curving as it passes between the buildings, its continuation beyond the layout would be partly or entirely hidden by one of the buildings, so this could help solve the backdrop-impact problem. I also wanted to try tapering the roadway somewhat, to see if I could force some perspective to the scene. The simplest way to try these ideas is to cut out some trial roadway shapes in paper. I just used a sheet of newsprint. My first try was to taper the width of the roadway, to try forcing perspective. Slight narrowing did not seem to do much, so I tried a greater taper (see below). This looks okay with nothing around it. But with this short distance to the backdrop, this would not look right with HO objects of familiar size nearby. 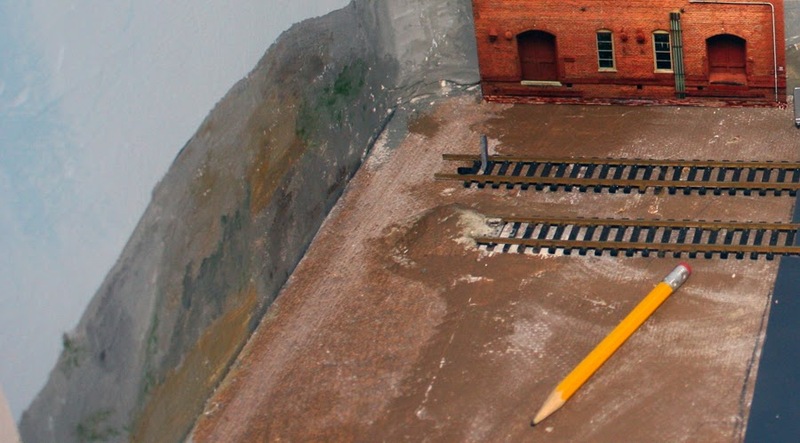 The freight cars on these tracks will be full-size HO, so the strongly forced perspective will not look right when such cars are present, nor will HO highway vehicles. In this photo, the paper cutout is simply atop the original roadway. My next idea was to curve the roadway slightly, while also tapering it a little. Below is my trial cut-out of this paper roadway. Again, there isn’t much space to work a curve into the road, and the taper is probably excessive, for the reasons just given. But the curve looks promising, because a tree or shrub could be placed on either side of an arrangement like this, to help obscure whether the distant roadway is visible. It is maybe just a little too tapered. So I cut out still another piece, not quite as curved nor tapered much. But I was disappointed with this, as it seemed to me that it didn’t actually help too much to solve the problem of hiding where the road goes, even if it was the best of the modifications. At this point I had the idea that what is really needed is to prevent the viewer from seeing the intersection of the horizontal road with the vertical wall of the room. Maybe I could pose a truck or automobile at either of the two backdrop industries, or show an automobile pulling out from one of them. This is just a van truck to illustrate the idea. A smaller truck might look a little better, and I will pursue that further. But I do need to install a road here, so I decided to use that most recent design, a modest taper and some curvature to the right. I simply trimmed each styrene roadway piece that you see above, then glued them down with canopy glue. I will show further progress on Alder Street in a future post. There is nothing of great significance in this series of trials, except that it shows the ways you sometimes have to try a range of ideas to select what works. That is certainly true for me in designing and building scenery. A true artist could envision all this in his or her mind, but whether it’s my engineering genes or something else, I have learned I can’t do that very effectively. I have to try something physical I can see and touch. More next time. 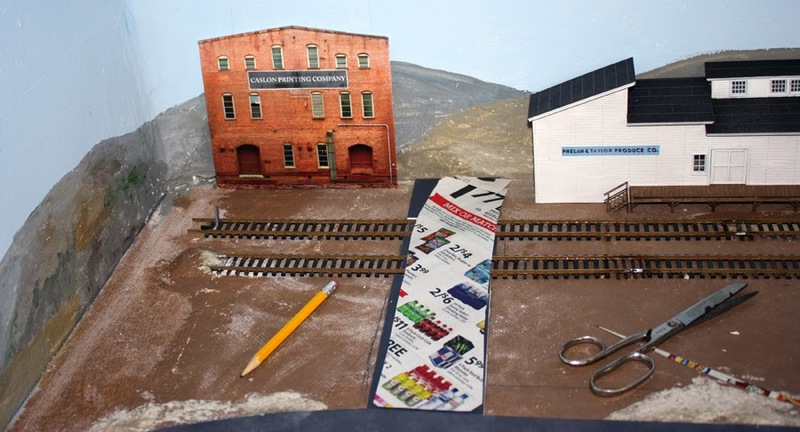 I recently received a stimulating question in an email, simply asking what recommendations I would make to achieve good photographs of railroad models and layouts. I am no expert, but I have been making (or attempting to make) such photographs for a whole bunch of years, and I can at least offer a few pointers which sum up my own experience. Some amateurs believe, with the advent of digital cameras, and the many software applications out there which enable photo correction, manipulation and improvement, that photography is fundamentally different, and easier, today. That’s true in a number of ways, but the fundamental variables in photography have not changed at all. I will briefly summarize what they are, and how you can work with them. Any photographer first needs to have at least a basic understanding and command of his or her camera, since in model photography we normally exercise the camera in ways you would not usually do in photographing, say, your family picnic. Cameras do come with rather compact directions (which camera buyers often promptly lose), but in most cases that is only the most basic information. Trial and error may work, and if you pursue that course, I advise making notes so you remember what worked and what didn’t. Better is a resource you can turn back to when needed. Nowadays there are lots of after-market publications for this purpose. Here I just show one, which relates to my own Canon camera, a digital SLR (single-lens reflex). Every make of camera enjoys similar support. This publication is by Black Dog Media (BDM) of England, publishers of a very wide variety of titles, and a broad range just on photography. It’s an 8.5 x 10-inch book, 160 pages on glossy stock, and very well produced, available on the magazine racks at Barnes & Noble and elsewhere. I recommend it. Now let’s turn to model photography. The biggest obstacle faced in photography of any small object or group of small objects is adequate depth of field, which means the distance within which everything is in focus. 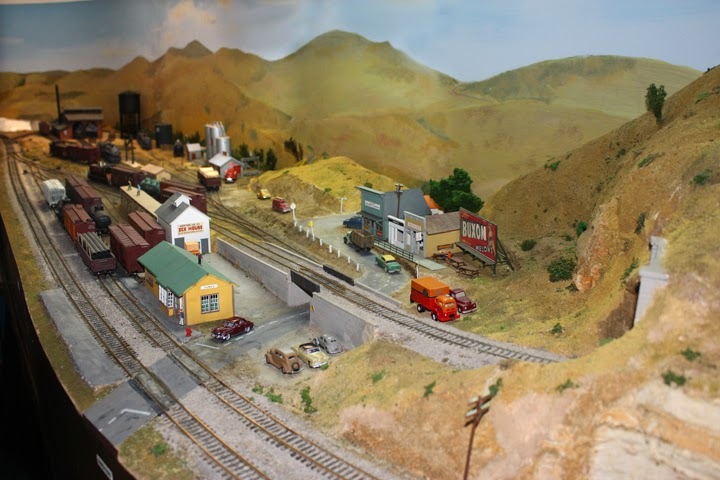 For model railroad subjects, usually that means that you have to arrange the photography so you get as much depth in focus, or near focus, as you can. There are software applications which can stitch together a series of photos, each focused at a different depth in the scene, and these can be astounding when a really deep scene is photographed, but for most photos this isn’t necessary. What do you do? The key is to reduce the lens aperture as small as it will go, which produces maximum depth of field. Not all conventional camera lenses will stop down terribly far, and this is one place that a macro lens can be really useful, because they often offer very small apertures (or, to use the photographic term, large f-stop numbers). On my digital Canon, I use aperture priority, and leave it set at the limit for my camera, which is f /25. That’s my first principle. Of course, minimum aperture size means that the light reaching the light-registering medium, whether electronic sensor or film, is also minimum per unit time, which in turn has to mean longer exposures. With most model photos, this almost automatically means that hand-held photos just can’t be adequate. I believe that if you are at all serious, a tripod or camera rest of some kind is essential. That would be my second principle. The third determining factor is lighting. There are two parts to this: first, pretty bright lights, to help with light delivery through your stopped-down lens, and second, uniform lighting over the whole subject. This is harder than it sounds. The human eye is so flexible with light levels, that you easily may not realize you are lighting one side of a scene more than the other side, but the camera will see it that way. The solution is to analyze the photos you take, looking for this problem, and you will soon get used to viewing your lighting with a critical eye, and reducing the size of the problem. In the days of film, one might need to use a 1000-watt main flood light, and one or two 500-watt fill lights (or more). Digital sensors in modern cameras are far more sensitive in low light, and today considerably less wattage is necessary. But lighting still has to be bright enough, and still has to be reasonably uniform. I should also mention flash. Fixed-position flash on the camera produces model photographs which usually have terribly dark shadows, and many cameras have automatic settings for flash which take over when the flash is engaged, often overriding settings such as maximum f-stop. For most kinds of model photography, then, flash is not a good idea, unless you can tilt the flash to bounce it off the ceiling. Today, applications like Photoshop can enable you to fix lighting variations in an image, though only within a certain range of variation. Minimizing what you will need to do in Photoshop is always a good idea. 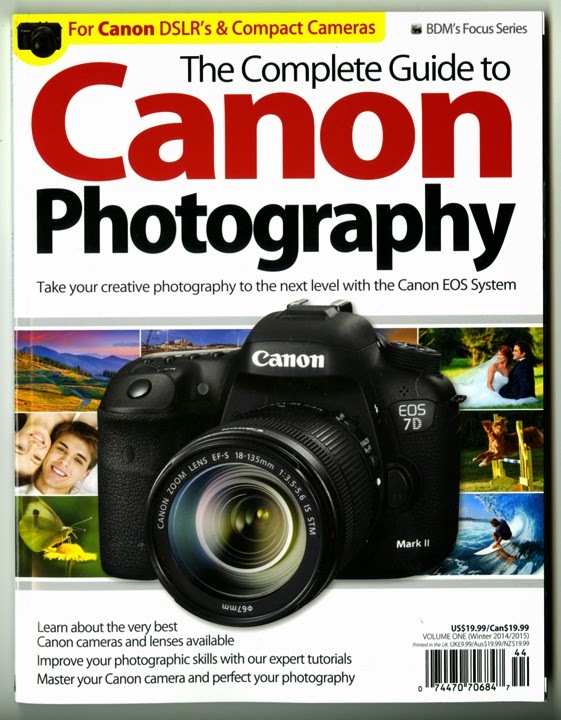 There are innumerable books on specific aspects of photography, and no doubt most are helpful. In this post, I will just mention one I happen to own, and have learned from. It is a 1979 book, frequently reprinted, and still readily available used (and cheap) from Amazon.com and elsewhere in the Internet. 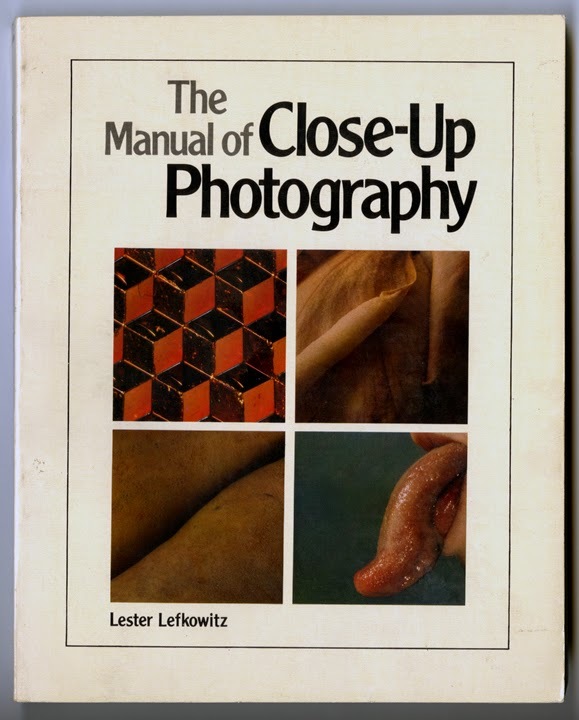 The author, Lester Lefkowitz, was a well-known close-up photographer. This book shows a huge range of techniques, and though of course entirely about film photography, has absolutely clear and informative directions on the photographic methods to use and how they work. With my three fundamental principles described in this post, I believe I have covered the basics. I will give specifics about model photography, and more details, in a future post.